Emails from businesses about compromised data are becoming common. Customers are also quick to voice their ire about downtime with their IT companies. System downtime alone can cost $26.5 billion in revenue every year. But outages don’t have to spell the end of your business. All you need is an IT disaster recovery plan. Not convinced? Read on to discover the 5 reasons why your business needs one. We entrust so much to our computers these days but we forget that it’s still our job to input the information. It’s easy to overwrite a document while saving. Or lose information to a crash because we hadn’t saved a document for a while. Adding incremental data backups to your disaster recovery plan makes it easy to restore your files. And implement more training for your staff. Better IT awareness can help avoid some of the more common errors. Speaking of training, do all your staff understand the importance of security? Security breaches can happen if staff plug unsecured devices into your network. Or they might visit unsecured websites or click suspicious links in emails. The WannaCry malware that brought the UK’s NHS to a standstill is one such example of the latter. Plugging the knowledge gap in your staff should be part of the proactive element of your disaster recovery plan. Help to prevent disasters in the first place. Machines are more reliable than they used to be. But all IT hardware still suffers failures from time to time. That can include problems with your internet connection or hard disk failures. You can’t stop them happening altogether. But an IT disaster recovery plan makes it easier to bounce back when they do. Running regular data backups is crucial and can help you in the event of both computer and human error. Or outsource your IT to a managed data center who can maintain your service and leave you to get on with running your business. If you suffer an IT disaster it will likely affect your customers. It could cause an outage in their service. Or it could expose their data to people with a nefarious agenda. Running a business depends on the ‘know, like, and trust’ factor. Your customers get to know you and come to trust you through doing business. When something goes wrong, you lose that trust. Unless your customers see you working hard to put it right. A disaster recovery plan helps you to put things right quickly and shows you were forward-thinking enough to have one. Customers will know that problems do happen and if you respond quickly, they may be more understanding. And preventing the disaster in the first place is a crucial part of a recovery plan. The growth of social media means that when things go wrong, the whole world can know about it in seconds. With such access to companies all over the world, customers know they can go elsewhere in the event of a problem. Having a disaster recovery plan means you can be more competitive by offering lower downtime or better performance. Given the choice between a company that’s prepared for the worst and one that isn’t, many customers will choose the former. It’s easier to keep customers you already have than acquire new ones. But acquiring new ones is easier when you’re offering something they value. 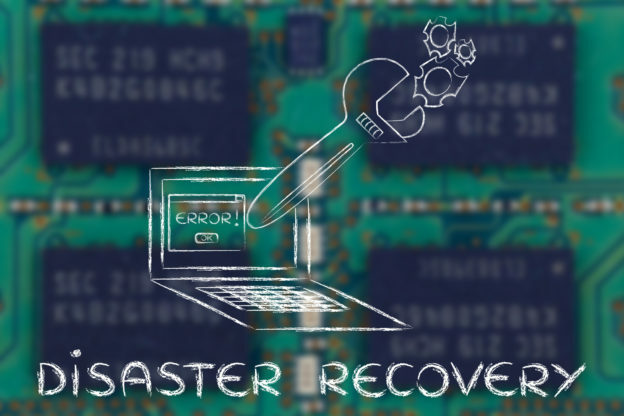 Have You Got An IT Disaster Recovery Plan? Looking at these reasons, you can see that a disaster recovery plan isn’t just a ‘nice to have’ in business. It’s an essential part of your growth strategy. Are you looking to build your own IT disaster recovery plan? Look no further. Contact us today and find out how we can help.